The site editor takes your right to privacy seriously, and wants you to feel comfortable using this web site. 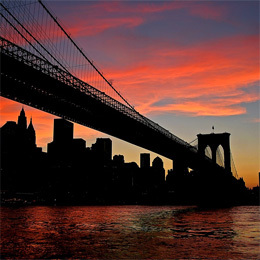 Airport-New-York.com is committed to respecting personal privacy and safeguarding individual record confidentiality. Information Collection: Airport-New-York.com may collect Website user information. This information is used to provide requested services to individuals and companies, as well as to provide better customer and employee service. Compliance with the Law: Airport-New-York.com complies with all applicable privacy laws and regulations. In the event of a violation of the terms and conditions of use of this website or a violation of any restrictions on use of materials provided in or through this website, we may disclose personal user information to our affected parties or legal authorities. 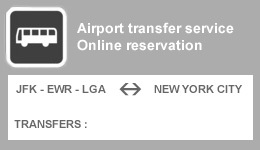 We also use third party advertisements on Airport-New-York.com to support our site. Some of these advertisers may use technology such as cookies and web beacons when they advertise on our site, which will also send these advertisers (such as Google through the Google AdSense program) information including your IP address, your ISP , the browser you used to visit our site, and in some cases, whether you have Flash installed. This is generally used for geotargeting purposes (showing New York real estate ads to someone in New York, for example) or showing certain ads based on specific sites visited (such as showing cooking ads to someone who frequents cooking sites). 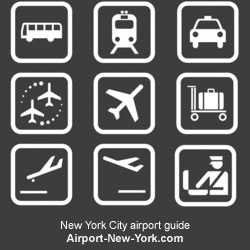 Airport-New-York.com is an independent non official guide to airports serving NYC : See airlines directory, book your transportation to Manhattan Hotels - Compare prices to find the right place to stay in NYC and get the best deals online. Also check the terminals maps to get more acquainted to the terminal of your arrival, ease your way to New York City Center.